If you have a young child at home I am sure you have heard of Blaze and the Monster Machines. The first time my daughter saw Blaze and the Monster Machines on Nick Jr she was addicted. She loved the show. Peyton would rush home from school and ask me to see if it was on. If it wasn’t she would head straight to her iPad and watch it. This went on for a few weeks until she’d seen every episode she could get her little hands on. Then we, I mean she, discovered Blaze and the Monster Machines ap on iTunes. Of course we downloaded. My daughter loved racing her truck through the courses. This game is mostly a racing game but for the 5 and under crowd it’s an awesome racing game! An awesome racing game where they can race their favorite character from their favorite show and build tracks for them to race on. This ap focuses on children engaging in critical thinking skills and explore scientific principles, including acceleration, adhesion, force, traction and more. And the kids just think they are having a good time playing a game. But now there’s another Blaze and the Monster Machines game! Recently released was Blaze and the Monster Machines Dinosaur Rescue. My daughter could not wait to get this downloaded. As soon as she discovered it was out she was at my side begging me for the passcode to get into our account. Once we downloaded Blaze and the Monster Machines Dinosaur Rescue I didn’t see her for the rest of the evening. Peyton had a blast going through the levels and freeing the gems and rescuing dinosaur eggs. 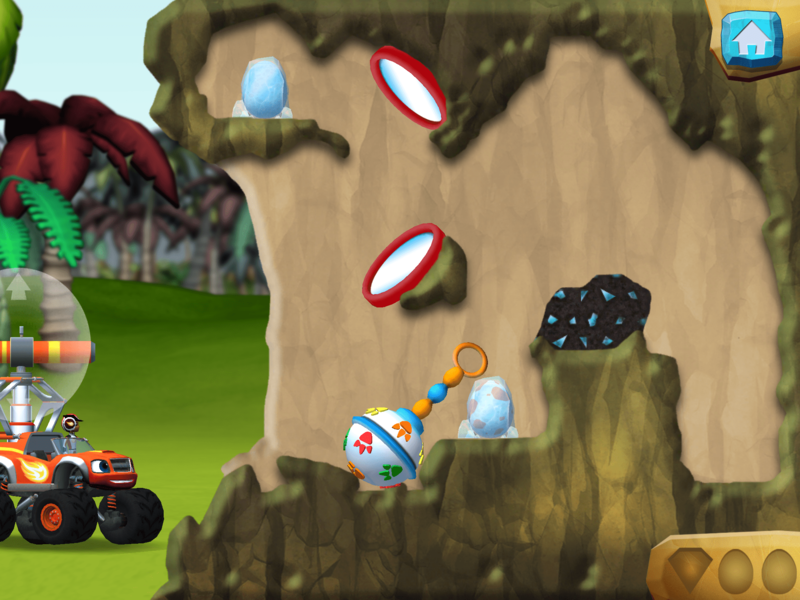 This game also focuses on problem-solving strategies and physics-based puzzles so kids are learning how to use different materials to free the eggs and gems. They don’t even realize how much learning is going on because they are having too much fun. And there are a variety of tools to use to rescue the eggs and discover gems. Kids are learning STEM concepts while having a blast. Peyton really enjoys playing Blaze and the Monster Machines Dinosaur Rescue. I like her playing it because she is learning while at the same time having a blast. She’s learning that when balls are shot or water shot out of cannons how they will have a different path. Or how bouncing a ball off a wall can change the direction of the ball. So while she thinks it’s just a good time playing a game I know she’s learning. 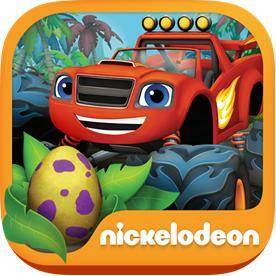 You can purchase Blaze and the Monster Machines Dinosaur Rescue on iTunes. This is so cute! My son would love this app! For now, he plays free apps on my Kindle Fire or he plays a handheld game system he has.